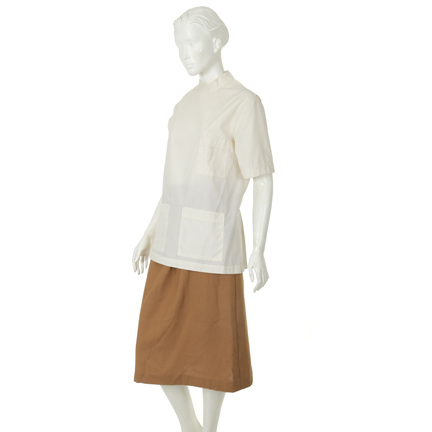 This costume was worn by the character “April Page” as portrayed by Geena Davis in the 1982 motion picture “Tootsie”. 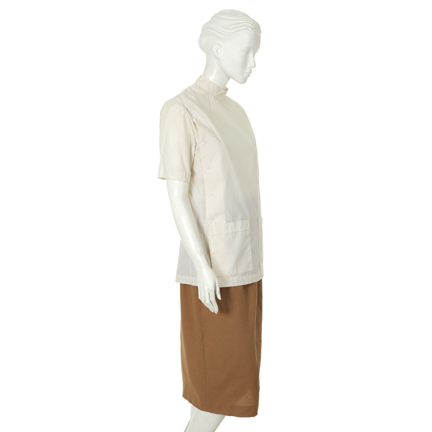 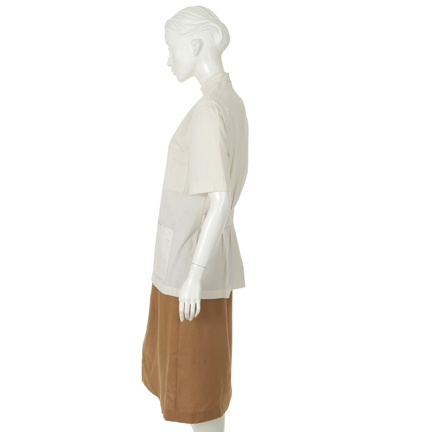 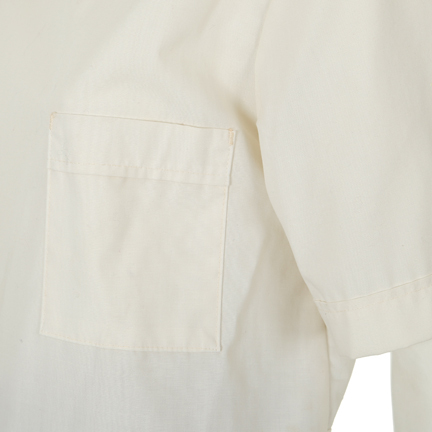 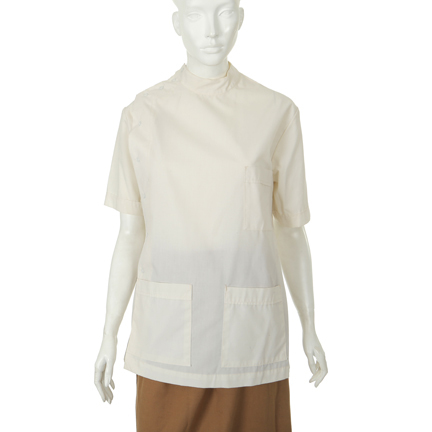 This outfit consists of a white cotton nurses smock with stand collar, patch pockets, Norfolk belt, and rust knee length skirt with side zip and button closure. 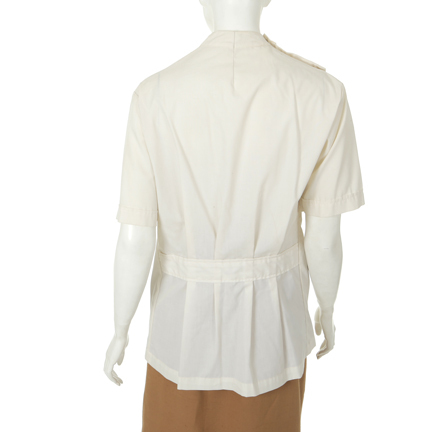 Worn by April Page (Geena Davis) when Julie Nichols (Jessica Lang) and John Van Horn (George Gaynes) are acting in a scene for the fictional soap opera, "Southwest General" in which Julie (Lang) does a particularly strong performance. 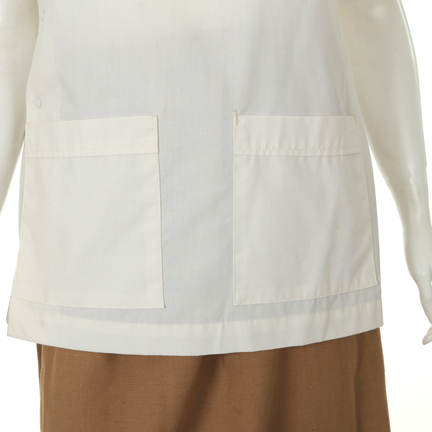 Jessica Lange won an Oscar for Best Actress In A Supporting Role, and the film was nominated for seven other Oscars. 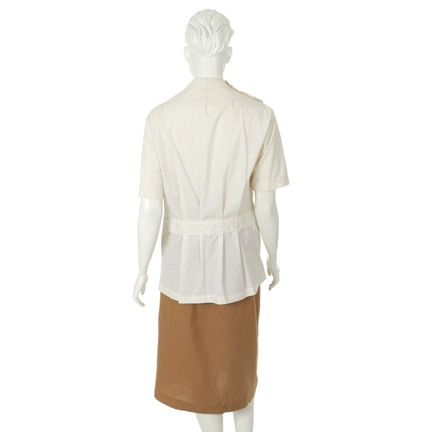 These garments are in excellent screen worn condition.